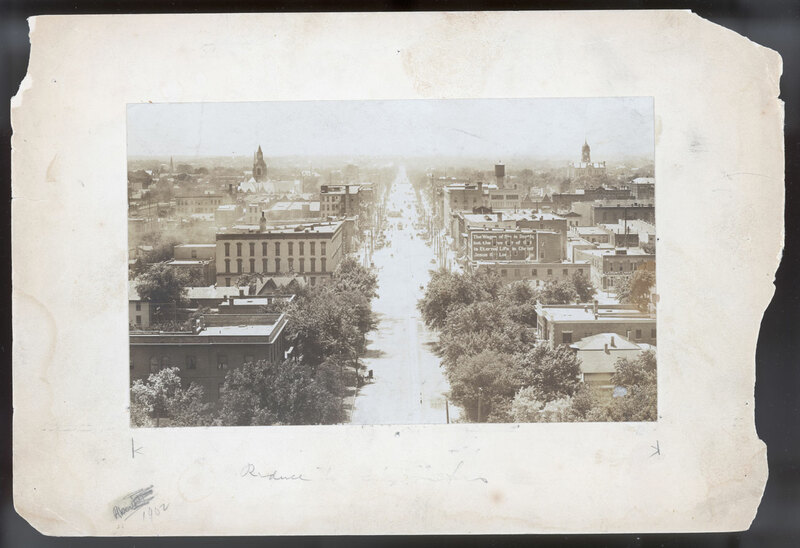 This photo is looking down Eleventh Street from the University. The Lancaster County Court House is on the right of the photo in the distance. The north side of block 35 is shown in the photo with the words "The Wages of Sin is Death; but the Free Gift of God is Eternal Life in Christ Jesus Our Lord" written on the building on the northeast corner of the block.